Lemon Balm is part of the mint family and widely grown in Europe, Africa and Asia. It is also known by Dropsy Plant, Honey Plant, Sweet Balm, Sweet Mary and Melissa. A strong lemon mint smell and flavor are characteristic. Lemon balm plants grow up to about 2 feet tall and have pale yellow flowers. The leaves and the essential oils extracted from the plant can be used. The essential oils are soothing to the skin and nerves around the area where applied. Studies show that lemon balm is one of the herbs most widely used for its medicinal benefits in the United States and elsewhere. The medicinal benefits of lemon balm include a calming effect with anxiety, sleep problems, vomiting, menstrual cramps, headaches, toothaches and mental disorders like melancholia and hysteria. It has traditionally been used to treat bronchial inflammation, earache, fever, flatulence, headaches, high blood pressure, influenza, mood disorders, palpitations, vomiting, and to soothe menstrual cramps and help relieve PMS. Lemon balm is also known to be effective with the herpes simplex virus, sores, painful swellings, and gout when used as a compress. Research suggests that, when used in combination with common sage, lemon balm has a positive effect on improving memory. The volatile oils in lemon balm are said to contain chemicals that relax muscles, particularly in the bladder, stomach, and uterus, thereby relieving cramps, gas, and nausea. European studies show internal use of Lemon Balm effective for tenseness, restlessness, irritability, and symptomatic treatment of digestive disorders, such as minor spasms. Topical application of the ointment is likely to be felt almost immediately, while treatment of the nervous system with a good tincture may have to be taken three times a day to be beneficial. Post surgery treatment guidelines warn individuals that combining lemon balm with other forms of medication may cause drowsiness. Any usage of the oil should be stopped at least two weeks in advance of any surgery. Lemon balm is regularly used as a flavoring in a number of foods and beverages. Not enough information is available on the impact of lemon balm on breastfeeding or pregnant women. Please consult your physician before use. Use this safe link to try Lemon Balm Tea Powder – TRY IT NOW! 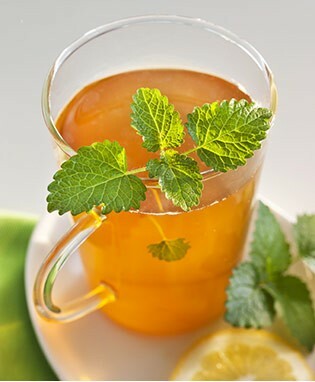 This entry was posted in Cold Remedies, Easy All Natural Fixes, For Better Health, Herbs, Improve Mood Naturally, Pain Relief, Uncategorized and tagged anxiety, bronchial inflammation, cramps, headaches, herpes simplex virus, high blood pressure, lemon balm, medicine, melissa, sleep problems, vomiting. Bookmark the permalink.